The Trussell trust say Universal Credit should be fighting poverty, not forcing people to use foodbanks. Isle of Wight Foodbank are urging Islanders to join the Trussell Trust campaign to stop the five week wait for Universal Credit. They say Universal Credit should be fighting poverty, not forcing people to use foodbanks. Sharing the story of a local woman who having been made redundant went onto Universal Credit. She signed up for support on 20th February but has been told she won;t receive a penny until 20th April – a wait of two months. Foodbank say the woman had to use her redundancy money to pay the mortgage and had no money left for food. Finding yourself in the same position as the woman above can happen to anyone. Isle of Wight Foodbank urge Islanders to join the campaign to stop the five week+ wait. Find out more about it on the Trussell Trust Website. Find out more about the Isle of Wight Foodbank by visiting their Website or Facebook Page. 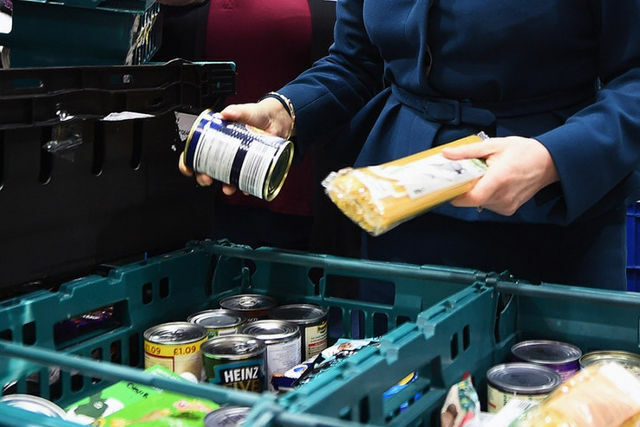 1 Comment on "‘Stop the five week wait’: Isle of Wight foodbank urge Islanders to join the campaign"
The only way to stop UC and the 5 week wait, is to stop voting Conservative.